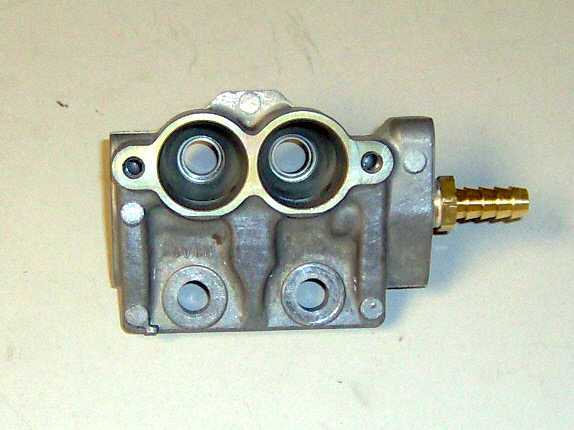 It is common for the Fuel Pulsation Damper (FPD) on the 3rd Generation RX7 to fail after approximately 60k miles, but has been known to fail sooner. You can replace it for $130 new, OR you can bypass it following these 'How To' instructions at a cost of around $2. 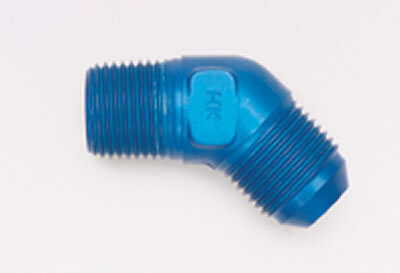 This is an excellent time to upgrade to silicone vacuum hose. 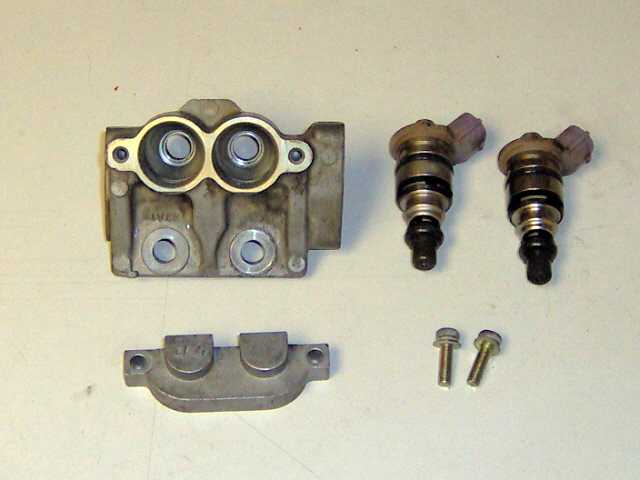 Failure of the FPD causes high-pressure fuel to leak from the fuel rails under the Upper Intake Manifold (UIM). 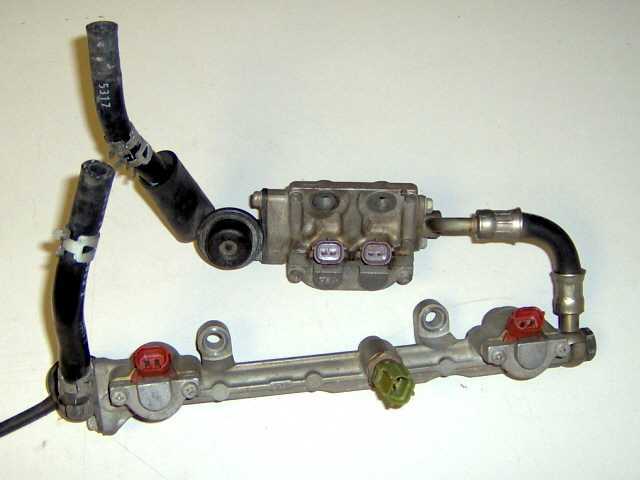 If undetected, this has been the cause of many engine fires and failures. The reduced fuel pressure causes the front rotor to run lean and detonate. We ourselves experienced this failure while at the track with our Efini. The blown Apex Seals caused considerable damage to the front rotor, rotor housing and additionally to our upgraded turbo. We now have a really cool (and expensive) clock! Click here for pictures of damaged components. Banzai Racing is not responsible for any adverse effects due to this or any modification. If you are planning to perform this modification you will need to have sufficient mechanical working knowledge of your car. 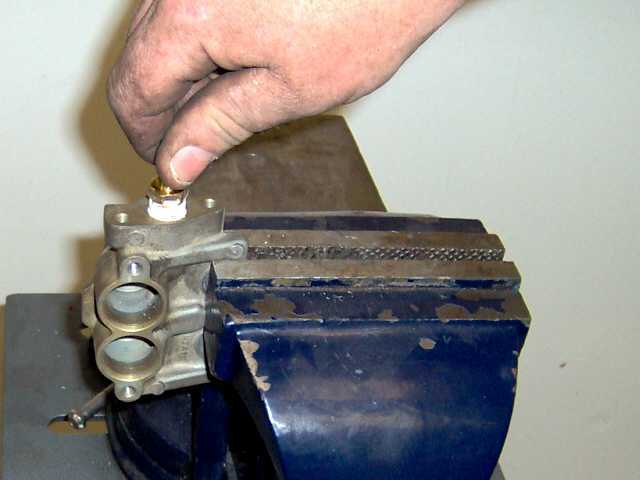 This 'How To' is based upon the fact that you have previous experience removing the Fuel Rails. 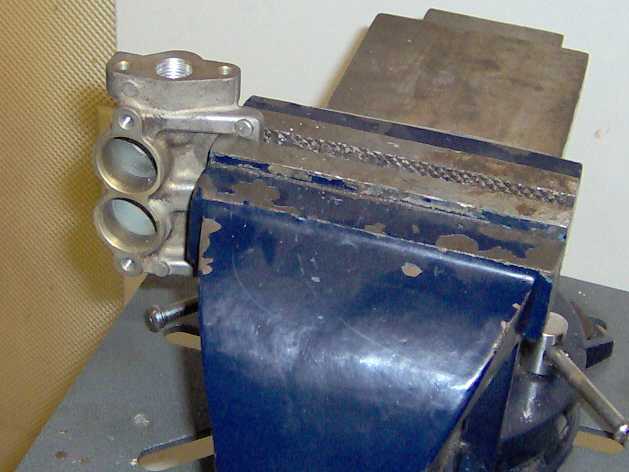 If you do not feel that you can perform a vacuum line job, you should not attempt this modification. Disconnect the battery. 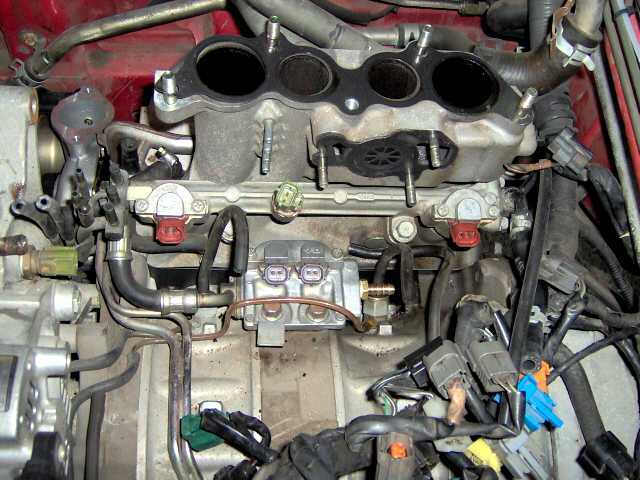 Then remove upper intake manifold (UIM), release fuel pressure, and then remove fuel rails. Place fuel rails on a clean dry surface for work purposes. 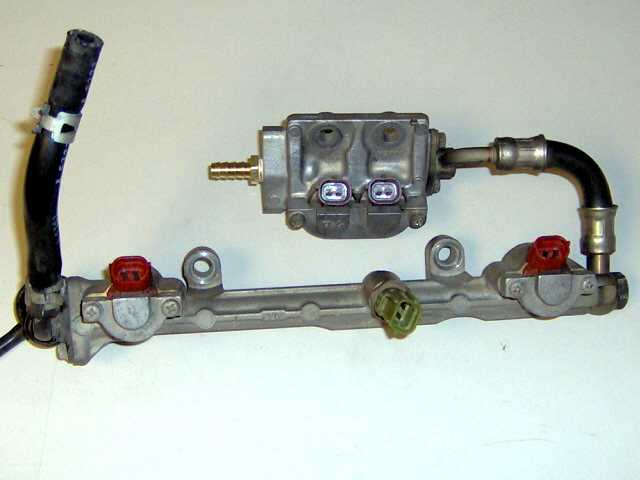 Remove primary fuel injectors (this may require some patience) DO NOT use a screwdriver; this will crack the injector connector. I remove them by spinning the injector back and forth while pulling. Remove PD and secondary fuel rail fuel line. Now that you have stripped down the primary fuel rail you will need to tap it. 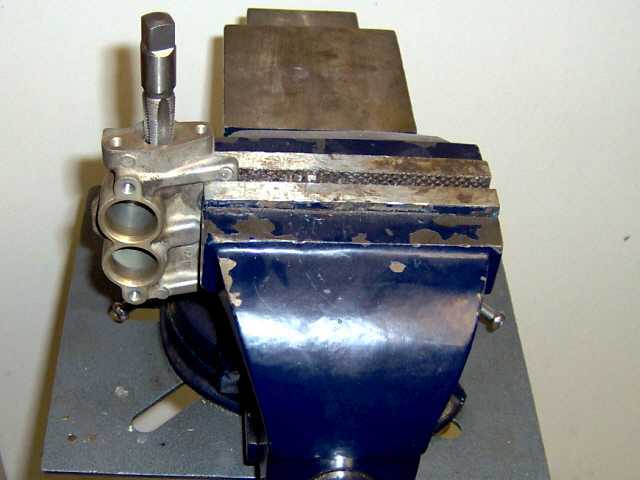 Place flat portion of fuel rail in vice as shown. 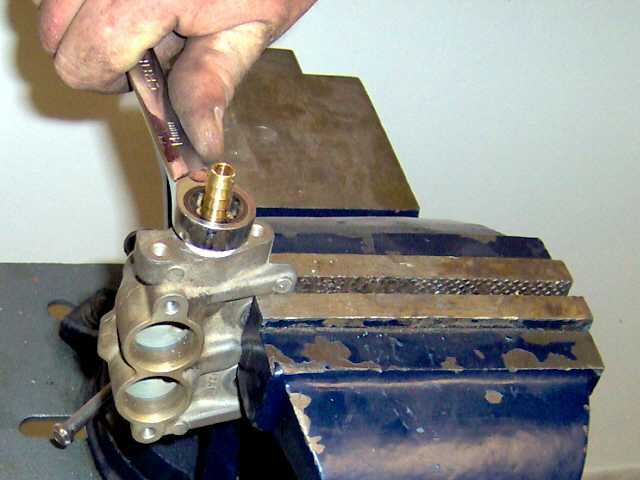 Using a 1/4 - 18 size tap, you will need to thread until it bottoms out in the fuel rail, ensuring that you keep it as straight as possible. Clean fuel rail (using compressed air, WD-40, etc. ); ensure that no shavings remain. 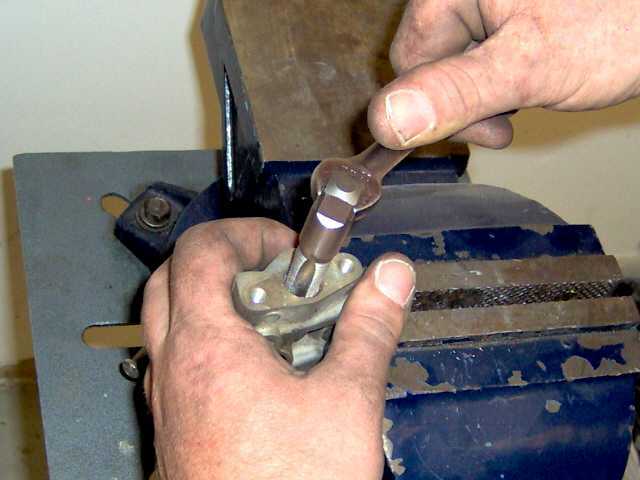 Then using wrench, tighten down completely. Connect fuel rails back to fuel lines prior to installation for testing purposes. Reconnect the battery, prime the fuel system and check for leaks. If there is a leak identify source and repair. Problem area could be; fuel injector O-rings. No Leaks; then install fuel rails in car. 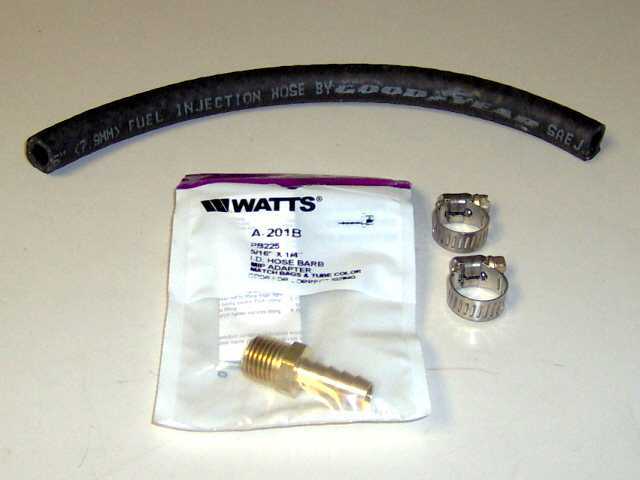 This is also a good time to replace the fuel hose on your primary fuel line feed. 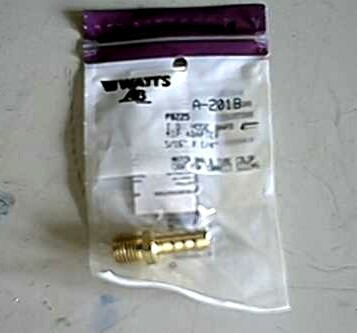 This requires 5/16" high-pressure fuel injection hose, available at any auto parts store. And finally, quote directly from FSM "Installation is reverse of removal"
NOTE: If you are running SS lines, you can install a 45 degree 6AN fitting (i.e. Summit Racing Part #SUM-220655). This allows clearance of the rear oil injector. "The Aeromotive bypass fuel pressure regulator works to dampen pulsation and create a smooth, stable pressure. That is how it regulates. Given a correct installation, with recommended flow path through the fuel rail and to the regulator, and mounting the regulator close to the fuel rail outlet, there will be no need for any additional “damper”."